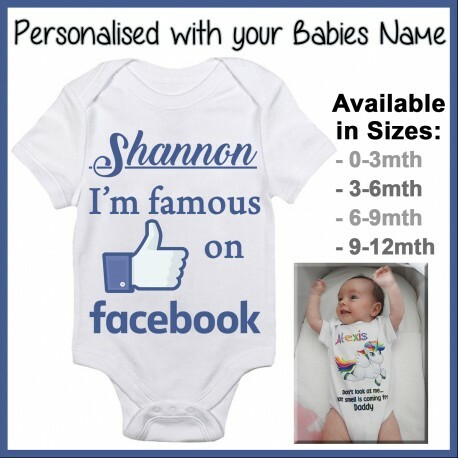 With your little ones name! 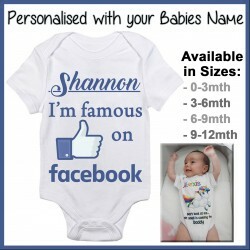 A Custom Famous on Facebook Baby Onesie, printed just for your special little boy or girl. 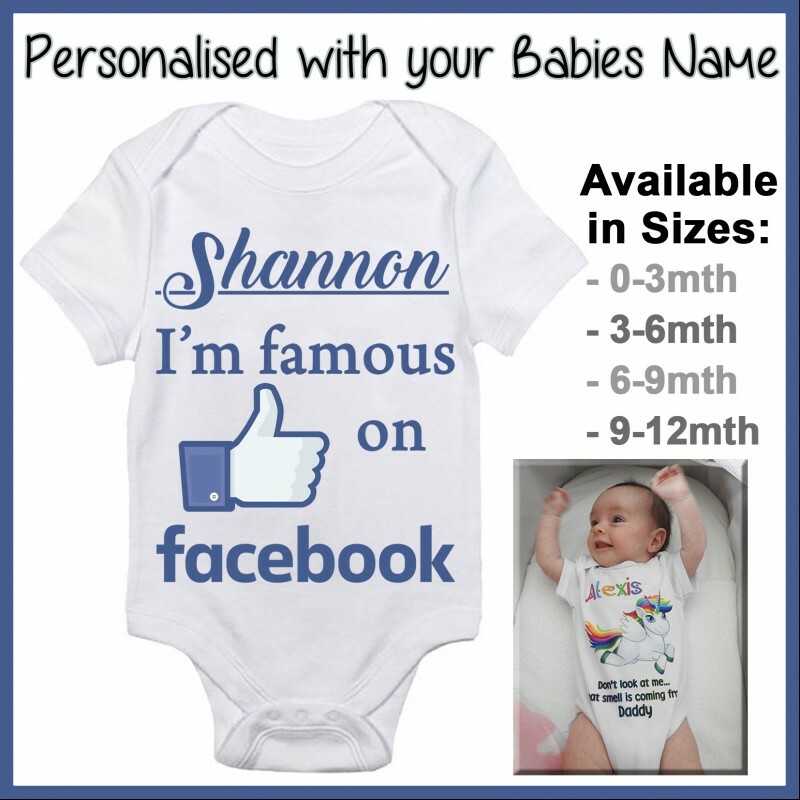 Add your little ones name to the design to make a special personalised outfit. They also look great in photo shoots, or for a one of a kind outfit for your baby. When in doubt, It's always safer to go bigger, this will also allow it to fit the baby for longer. 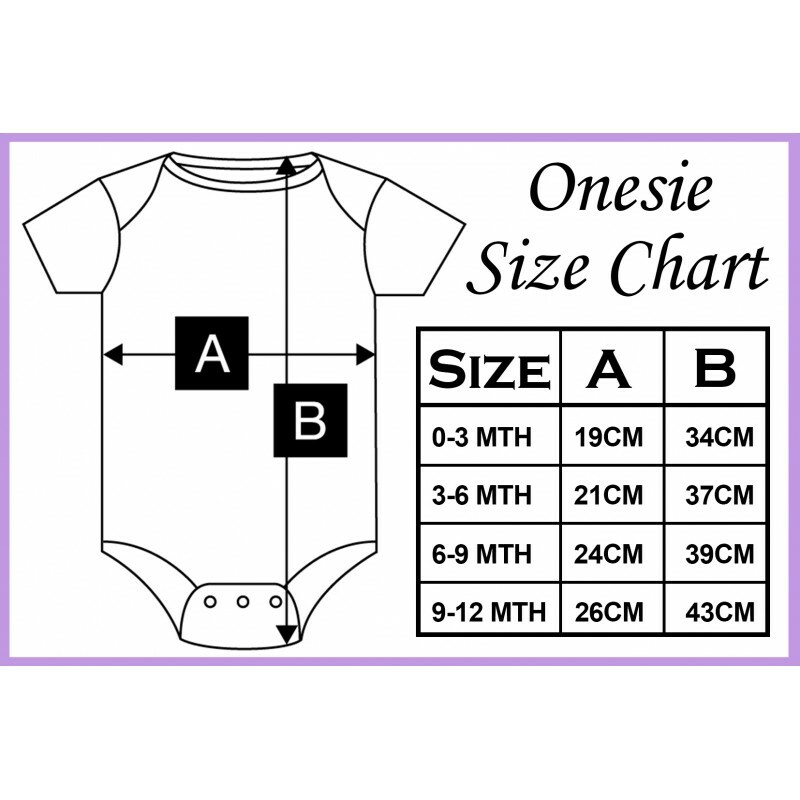 base your purchase on the sizing chart rather than the babies age, as the Month sizing is just a guide. We recommend comparing measurements to another article of your babies clothing. and polyester exterior which allows us to use dye sublimation printing on the Onesie. This results in a high quality, vibrant print that doesn't fade or peel like transfers do. 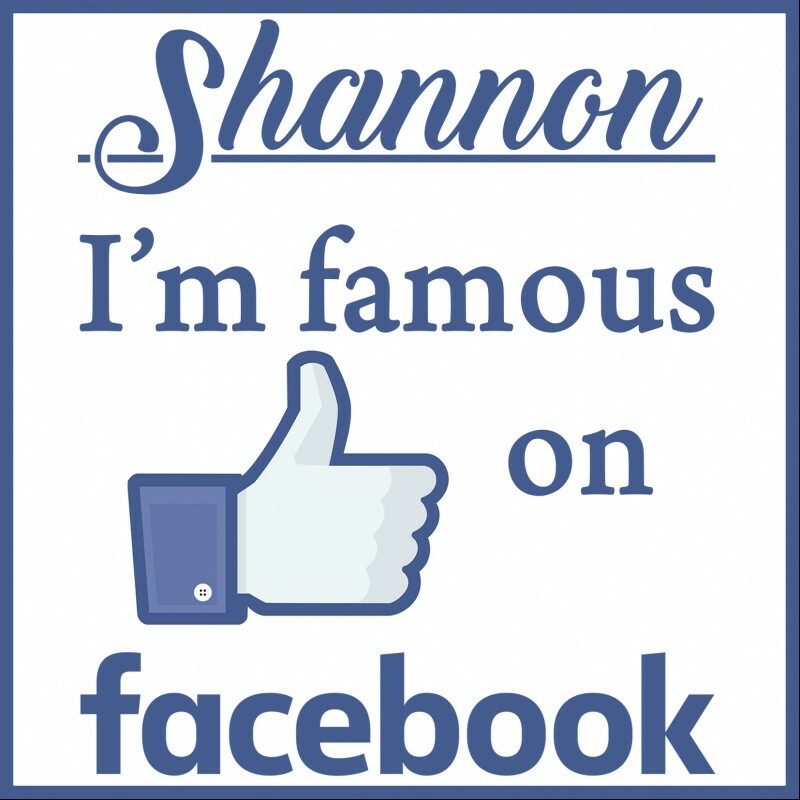 and are very durable and long lasting. If you don't see what you want, ask us if we can make it! or enter NONE if you would like the picture with no name added. Scroll back up and choose the size you would like from the drop down menu.